STOCKHOLM, Sweden, September 4th, 2018 – Enea® (NASDAQ Stockholm: ENEA), a global supplier of network software platforms and world class services, and Advantech today announce a partnership around lightweight NFV Infrastructure solutions focusing on the Enea® NFV Access virtualization software platform running on Advantech’s second generation of network appliances for uCPE and SD-WAN. 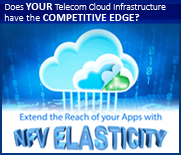 Enea NFV Access is a virtualization platform that improves cost-effectiveness utilizing lower-spec hardware while benefiting from carrier grade throughput and reliability. It brings best-in-class characteristics for customers to enable optimized uCPE hardware while unleashing both business and technical agility. 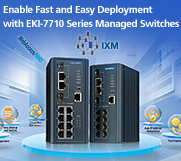 Enea NFV Access provides NETCONF EdgeLink and Zero Touch Provisioning, and scales from entry-level Intel® Atom™ for customer premise needs to high-end Intel® Xeon® Scalable processors for provider edge deployment. The Advantech FWA-T011 is a Tiny Network Appliance based on the 2-core Intel® Celeron® N3350 and 4-core Pentium® N4200 for entry-level uCPE and SD-WAN. 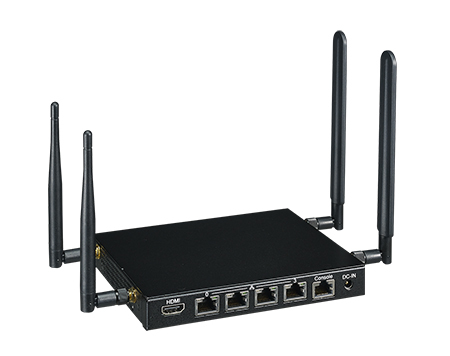 It is an Industry-standard x86 platform targeting SOHO and small enterprise installations with four RJ45 GbE ports for LAN or WAN connectivity and an optional module for Wi-Fi. An additional mobile network module and SIM card slot supports a 4G/LTE WAN uplink for cloud connectivity. The higher spec FWA-1012VC is a uCPE device with Intel® Atom™ Processor C3000 for uCPE and SD-WAN deployment. It includes an Intel® Atom® C3000 System-on-Chip with 2, 4, or 8 cores and Intel® QuickAssist Technology. The device supports flexible RAM capacities with ECC and multiple solid state drives (SSD) via SATA and/or M.2 interfaces for reliability and high availability. Six integrated GbE copper LAN ports and two optical SFP connections provide sufficient wireline connectivity for most SME deployments. The FWA-1012VC offers an optional integrated Wi-Fi access point and 4G/LTE connectivity. The 4G/LTE option can provide failover protection for the primary WAN connections and can also be used for higher bandwidth bonding with the wireline WAN ports. In addition, the FWA-1012VC offers optional dual-SIM capability for active/ standby and an optional cost saving PoE module that can power two IEEE PoE+ (25.5W) ports without the need for a PoE+ switch. Founded in 1983, Advantech is a leader in providing trusted, innovative products, services, and solutions. Advantech offers comprehensive system integration, hardware, software, customer-centric design services, embedded systems, automation products, and global logistics support. Our mission is to enable an intelligent planet with embedded computing products and solutions that empower the development of smarter working and living. With Advantech, there’s no limit to the applications and innovations our products make possible. 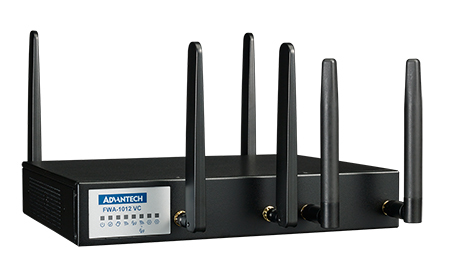 For Telecom and Networking markets, Advantech provides business-critical hardware to the leading telecom and networking equipment manufacturers, and to global communication service providers. Advantech’s standard and customized products are embedded in OEM equipment that the world's communications infrastructure depends upon. 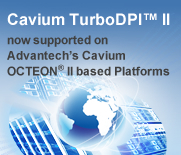 http://www.advantech.com/nc. Enea®, Enea OSE®, Netbricks®, Polyhedra®, and Enea® Element are registered trademarks of Enea AB and its subsidiaries. Enea OSE®ck, Polyhedra® Lite, Enea® ElementCenter, Enea® On-device Management, Enea® NFV Core, and Enea® NFV Access are unregistered trademarks of Enea AB or its subsidiaries. Any other company, product or service names mentioned above are the registered or unregistered trademarks of their respective owner. All rights reserved. © Enea AB 2018.